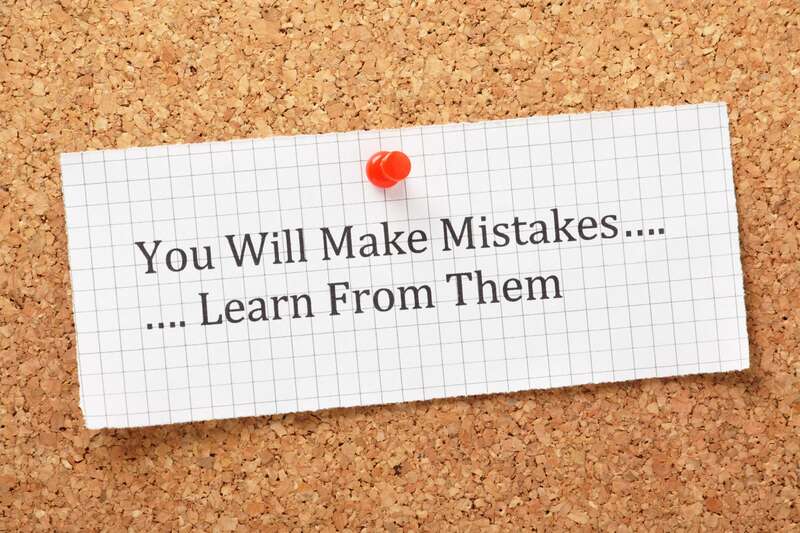 Mistakes: We all make them, and hopefully they become a learning moment and are then gone and forgotten forever. What happens when a work-related mistake is made and needs to be addressed? There are many different types of mistakes, and knowing what is and isn’t serious is something that comes with experience. It might be helpful to speak to a trusted co-worker when you are unsure about the depth of the problem and the need to make amends. A spelling mistake is not quite on the same level as forgetting to attend an important meeting. Once a decision is made that action must be taken, it’s usually best to address and correct a mistake sooner rather than later. Most work-related mistakes don’t get better on their own, and time seldom heals such situations. If action is not taken in a timely manner, it can give the impression that the responsible party does not care about their work, their fellow employees or the business. To be most effective, corrective action should be discussed with the appropriate business partner, peer, co-worker or supervisor and really need not be shared with those who have no need to know. Confessing to everyone might make you feel better in the short term, but will not enhance your work relationships in the long term, especially if you are the business owner and your employees’ confidence in you helps them get their jobs done. Allowing yourself to get depressed or overly stressed is counter-productive. What’s done is done, and suffering will not improve your ability to do your work. Yes, we all make mistakes, but how those mistakes are handled defines the character and resilience of our lives.